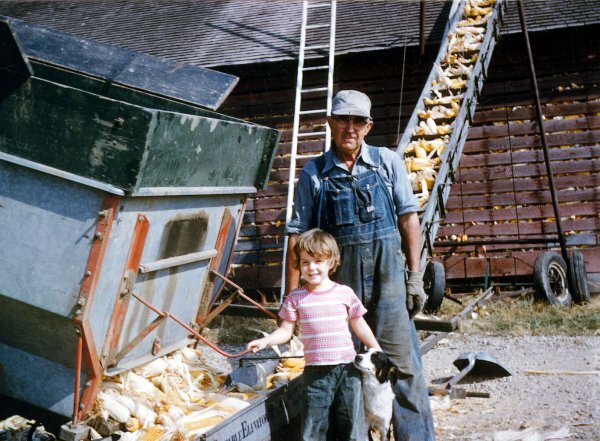 "Farming Just After WW II"
This photo from 1953 or so, shows my sister Jane helping our Grandfather Eddie(Edward L. Koeller) unload ear corn into a corn crib...also faithful family member "Buck". This was about two years before Dad switched to harvesting shelled corn with a combine. These two photos show my Great-Uncle Bob(Robert E. Alfs) when he was picking corn...very good corn apparently! 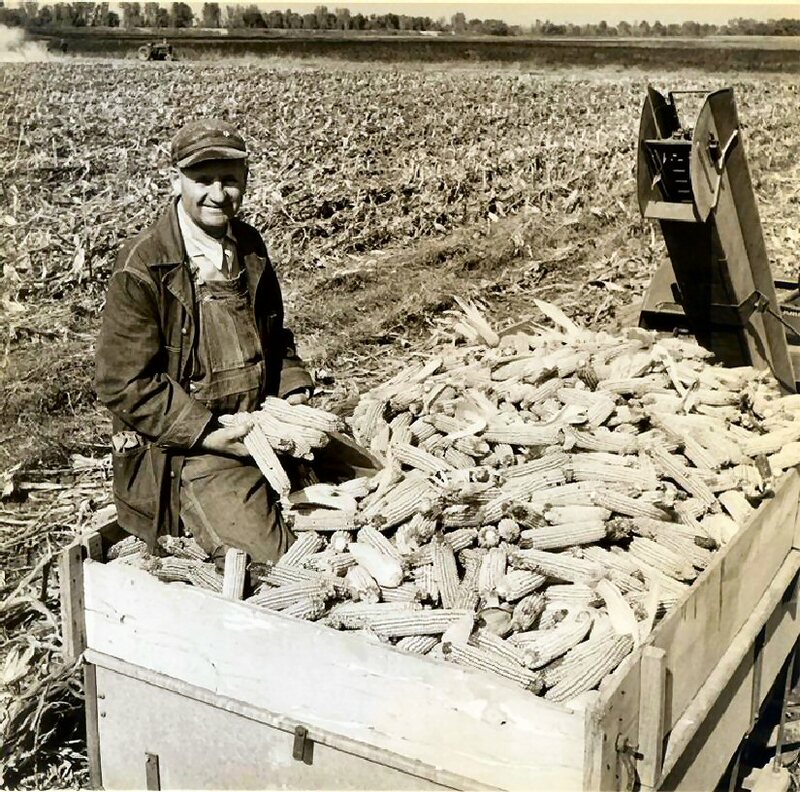 The picking unit was mounted on a conventional tractor and pulled a wagon behind to catch the ears of corn. 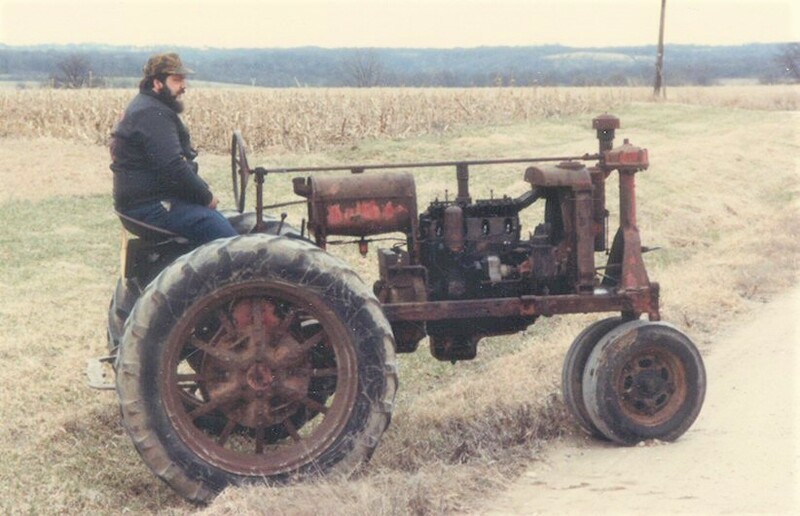 This is his International Harvestor Farmall F-20...I believe it was a 1938 model and had been converted to rubber tires from the original steel wheels. 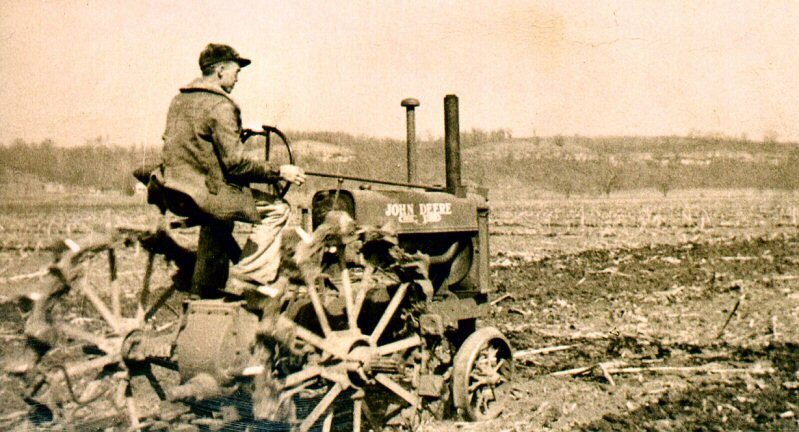 This is my wife Donna's Uncle Howard Spalding in the early 1940's plowing. 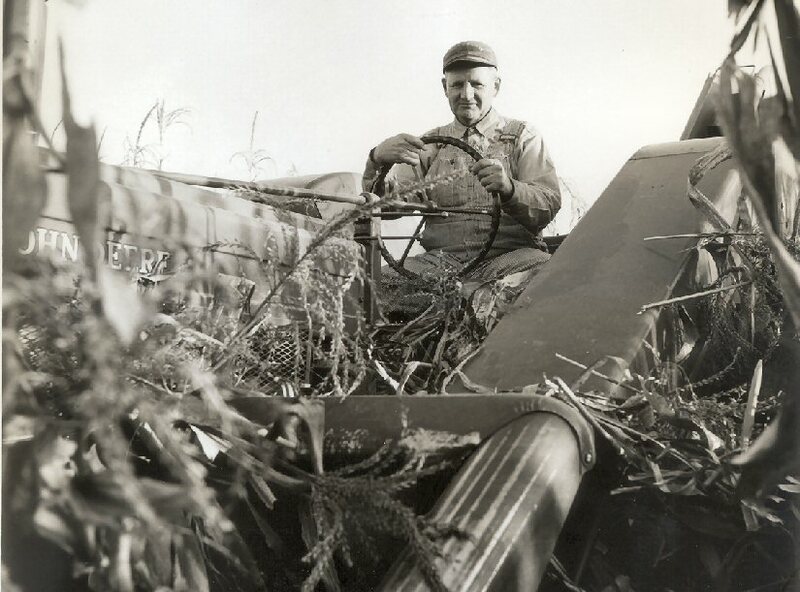 He had to run the family farm due to his father's untimely death and his older brothers off serving in WW II. Farm mchinery has come a long way in 75 years!! !